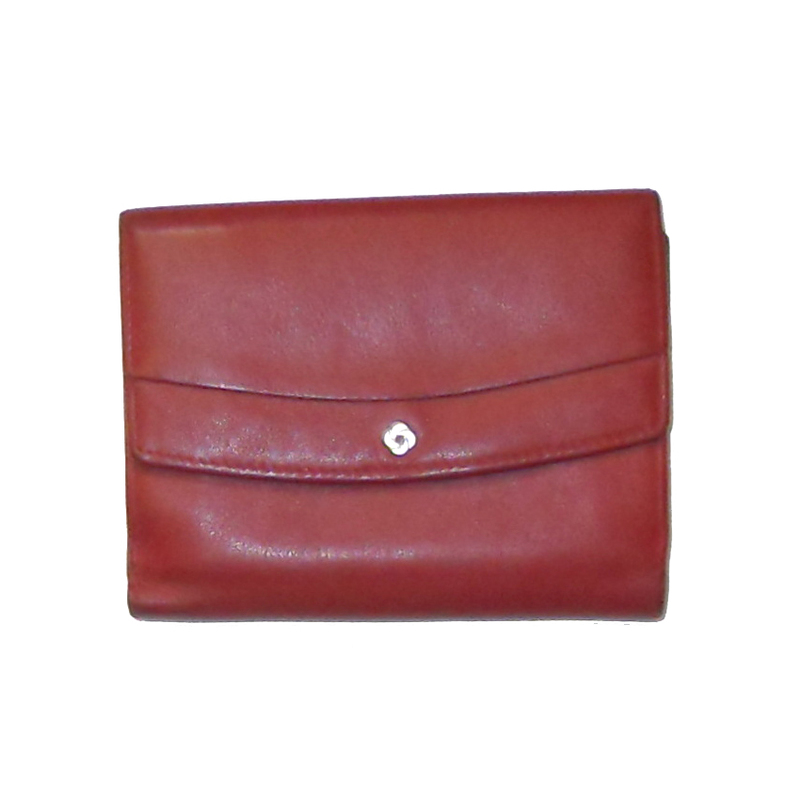 Red leather purse wallet with a front flap popper closure with two pockets inside and a popper closure at the back opening to reveal two pockets for notes and pockets for credit cards. Measures 5.25″ (13cm) x 4.25″ (10.5cm). Slight wear to the corners of the leather.